First indoor park training thursday i done. Oh my god this is fun. Can´t understand why i had to wait my whole life before trying this. This will be a weekly tradition for the whole winter. 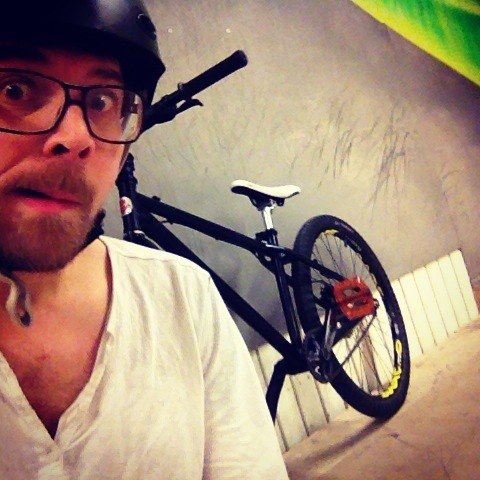 Can´t wait to upgrade to the new frame and sus´fork. My wrists are pretty sour today. Didn´t have time to take any pics. But here is a short clip from my Instagram.